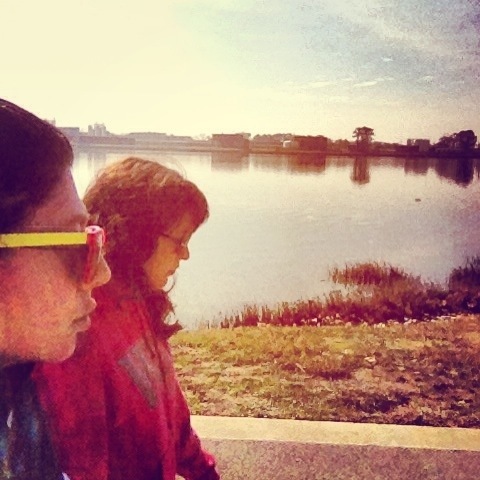 Spent the morning, like the past few mornings, waking up & walking the Bachman Lake trail with my sister. We paced ourselves for the long walk around the lake and soaked up the warm sun as we caught up on life. She inspires me, challenges me, supports me…it’s being present here with her and in my hometown where I gain my greatest inspiration for my art work. It happens when I am enjoying life loving my family and friends I am propelled with purpose. So here we begin. Welcome to my blog and the beginning of my graduate journey at Wichita State University in Wichita KS. I have completed my first semester in Fine Arts and you find me presently on Christmas break back home in Dallas, TX. Are you coming alongside?..all I know is this will be an adventure.